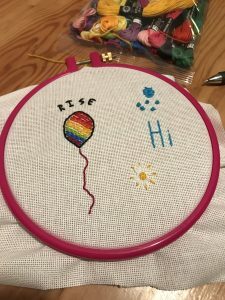 I’ve started practicing some embroidery! It’s very soothing and pretty easy. I’m looking for my first big project. This is just my practice fabric.